Hosted telephone systems for Estate and Lettings agents. 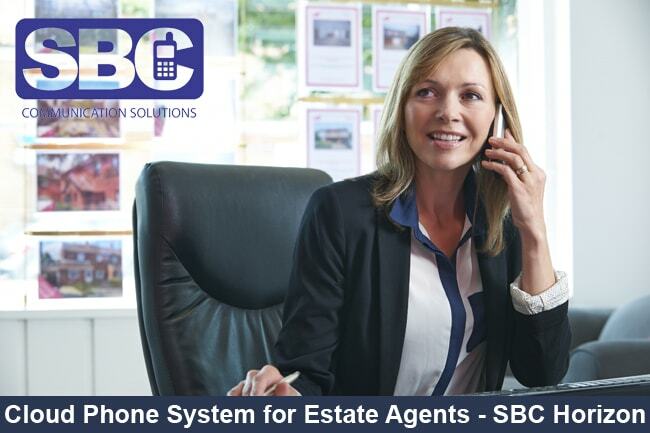 SBC understand estate agencies need a reliable telephony system to ensure they hit their sales targets. In such a competitive industry calls need to be put through quickly in order to secure a sale. Reliable telephony is crucial in most sectors, however in such a sales driven sector this is even more important. Estate agencies have multiple pressures to contend with on a daily basis, therefore the telephony system they use must be up to the challenge. The process of buying, renting and selling property requires quick and clear communication. With buyers and tenants searching for properties, a missed call could mean a missed opportunity. Likewise, a seller not being able to make immediate contact may be lost to your competition, impacting on your profit. Large estate agencies that form part of a chain will rely on a central portal to control the call plans of all offices. Similarly if multiple office locations are involved, the telephony system must allow clients to get through to the correct office quickly. This is a crucial requirement to stay ahead of the competition. Call recording is essential in this sector as a mis-heard quote or fee could cause long delays in the buying process and directly impact profits. Estate agents are often out-of-office at appointments and viewings, therefore they must be able to make and take calls whilst on the move. This flexibility means that estate agents are able to work as efficiently as possible to secure their sales. Call reporting – Given the nature of estate agencies, tracking calls and viewing time allocated to specific buyers is vital. Call reporting will enable estate agents to view time spent on the phone, and to which customers/clients. Then, when required, call reports can enable managers to view how long agents have been on the phone for. Call recording – Estate agencies often have a requirement for call recording as they are often dealing with large quantities of money, and a mis-heard quote or fee could cost thousands of pounds. There are four options for call recording, all providing control over what is being recorded, and when. One portal – Many estate agencies operate out of a central office, but have a number of satellite offices around the area. SBC Horizon is administrated centrally, so an administrator can control the call plan of various offices via one portal remotely. Mobile client – Most estate agents work both in and out of the office, at meetings with clients or house viewings. The mobile client gives them full Horizon functionality, including the One Number Anywhere feature, and mobile chat, from wherever they have 3G/4G/WiFi signal. Hot desking – For those staff who are in and out of the office frequently, office space where they can sit down in between meetings is beneficial. Hot desking gives them a four digit code that, once entered into the phone, pulls their Horizon profile from the cloud onto that particular handset.